All patients who have Humana Gold insurance will require an Authorization and a Referral from their Primary Physician. (However, patients with kidney disease or failure DO NOT Require an Authorization). All patients who have HPN Medicaid insurance will require a referral from their primary care physician prior to their appointment. All patients who have Health Care Partners insurance will require a referral and an Authorization from their Primary care physician. 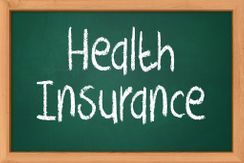 All patients who have Health Plan of Nevada insurance will require a referral and an Authorization from their Primary care physician.